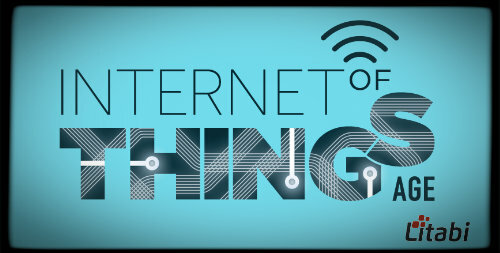 Home » Technology » How The Private And Public Sectors Can Prepare For The Rise Of IoT? The current technological and industrial landscape is ripe for the rise of the Internet of Things or IoT. Broadband Internet is now more widely available and affordable, smartphone penetration is at an all-time high, and more and more devices are taking the “smart” route, with connectivity capabilities becoming among their most important features. Experts predict that by 2020, there will be more than 26 billion devices connected to the worldwide IoT network, which means virtually endless connections between and among things and people. Both the public and private sectors can reap the benefits of IoT and the opportunities it presents. However, without proper planning, the ordinary people might not be able to take full advantage of these opportunities. Here are some ideas different organizations, both public and private, can prepare for the inevitable rise of IoT. Without a fast, steady, and secure Internet connection, an IoT network becomes a nightmare to manage. This is especially true when you’re dealing with vast amounts of real-time data being exchanged among all the many important sectors that rely on intercommunicating IoT devices. Industrial IoT solutions not only ensure speedy and stable connections, but they also provide more and stronger security features that are regularly upgraded to keep billions of user data private and uncompromised. Ideally, industrial IoT solutions should use wireless technologies for more cost-efficiency, scalability, and non-invasiveness, especially for a nationwide—or even just a citywide or campus-wide—network. People are slowly getting used to doing most of their business transactions online—from banking and shopping to accomplishing and submitting government forms. Making more and more of these services available through the Internet helps build confidence in a new paradigm that favors online-based transactions. Transitioning to online transactions also helps in doing away with unnecessary forms. Imagine an employee having to fill out paperwork every time they file for their overtime pay or take a vacation. Not only will a simple online program make this process more comfortable, but it will also be more efficient since managers will be promptly alerted and can take immediate action whenever an employee submits an application. The same thing goes for “e-government” applications. The reduction of paper forms are not only environmentally friendly, but they also save on costs. It’s also easier and more efficient to store digital data for quick inter- or cross-office referencing—say a state government employee can immediately check if someone applying for a passport has any pending court cases that may disqualify them from being issued one. The Internet plays a big role in education and professional development. However, if people are unequipped with the knowledge and skills to handle this powerful tool, they will not be able to take full advantage of its myriad benefits. This is why the concept of IoT—including the responsible and critical use of all relevant technologies—should already be a staple in school curriculums. This makes future graduates more bankable in an increasingly competitive job market. Meanwhile, employers and governments should invest in digital training for their personnel to ensure that they are not only updated with the latest trends but can also apply their knowledge in their work. In turn, these students and employees will be more trusting of these technologies and are more likely to adopt essential practices more easily. Experts are still trying to understand the multifaceted pros and cons of IoT, even as technology continues to evolve at a rapid pace. The best thing that we, the consumers of IoT, can do at the moment is to continuously educate ourselves about the proper use of the technology and its potential impact on our ways of life.